Holy moly, it’s hot out! I’ve been keeping cool by snacking on ALL the summer fruits – chilled of course – plus a daily dose of popsicles. I am and forever will be in love with rocket pops. Do you guys like them? They remind me of summer in the best possible way. I’m partial to the cherry tops and the mysteriously flavored white part; I think it’s lemon-lime? The blue raspberry I could take or leave, but it’s not really a rocket pop without the blue, so there’s that. I’m hoping to expand my frozen treat selection and am thinking of getting into Halo Top. Mike doesn’t really love ice cream or popsicles, so please tell me your faves so I can have some pre-vetted treats! Anyway, here’s are some fun finds! Could you imagine being allergic to meat?! Long lines and Tokyo go hand-in-hand. What are your thoughts on going private on Instagram? Oof. That’s a lot of time spent consuming media. I did not know that Nerf guns were so…intense. Being together and living apart. I lol’d at this vest vending machine. Crazy things happen on the internet – it can ruin lives. How an ex-cop rigged McDonald’s Monopoly and stole millions. I would be all over this hummus platter if I had in front of me. I’m digging these chewy oatmeal cookies. Halloumi croutons on tomato soup!! YAAAAAS! I’ve been peeping this cast iron pan – it’s thin and light with a machined finish and an extra long handle. The Devil Wears Prada has a sequel and it looks just as funny and devour-able as its predecessor. Definitely tucking this book into my bag the next time I’m by the pool or at the beach. 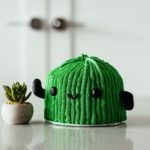 These little cactus tea lights are the cutest! Not sure how well this little blackhead scrub stick works, but the packaging is too cute. My blog BFF, Lyndsay, has a book out soon!! It’s full of cute and pretty cakes and I just know you’ll want to make everything in it! We’re doing a giveaway on Instagram, so keep your eyes peeled – you can enter to win a copy of the book plus a jar of the cutest ever sprinkle mix. Aight! Have a lovely weekend! Keep cool and eat all the frozen treats! I’ve been making those lemon coconut milk ice pops (you had posted in July from HonestlyYum). Then I made ones from liquidy yogurt and maple syrup, and now I’m onto smashed banana thinned with a little milk. Love my popsicle mold, too! PINEAPPLE YOGEN FRUZ AND NOW THIS!????? I also LOVE ROCKET POPS!! Teddy always says “Mom why do you get that? ?” he’s always getting the Spongebob one or a drumstick or… omg. STEPH!! 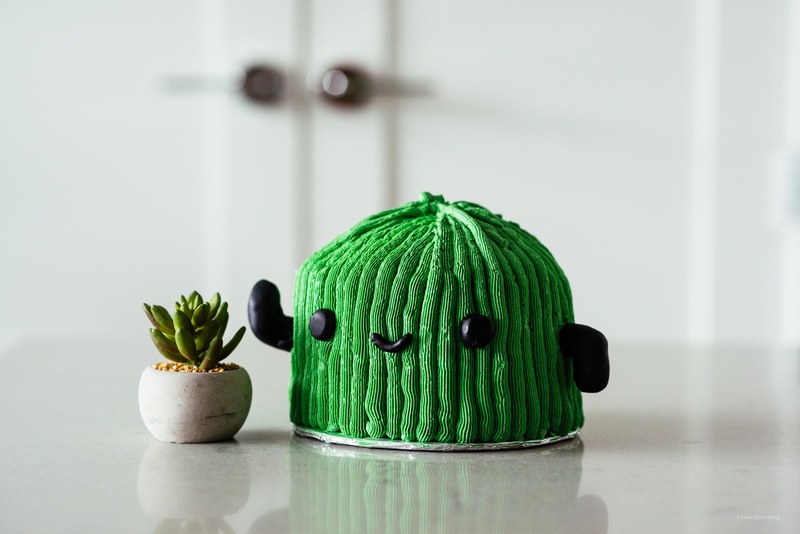 I thought we were talking about the cactus cake? !